The treatment of chronic pain (defined as pain lasting more than three months) requires many decisions before relief can be achieved. From the most important decision of choosing a physician to getting an accurate diagnosis, selecting the best treatment option for your specific problem, and the economic decision of how to pay for the ever-increasing cost of your healthcare. Below is a discussion of some of the treatment options available – from minimally invasive to surgical – a description of their suitability, and financial decisions to consider. The vast majority of long-standing, chronic pain can be successfully treated with pain medication and, in many cases, with minimally invasive, pain-relieving procedures. First and foremost, the key to successful therapy – and avoidance or relative relief from chronic pain – is a correct diagnosis. This in turn involves the analysis of excellent radiological studies (MRIs, CT scans, myelograms, plain X-rays, flexion-extension views demonstrating the stability of the spine when bending). Unfortunately, under the financial pressure for cost containment in the medical field, high-quality radiological studies are no longer ubiquitously available – a false economy that can lead to incorrect diagnoses, treatments, and treatment failure. Similarly mandatory are carefully taken histories and thorough, thoughtfully conducted physical examinations, both time consuming and costly in today’s atmosphere of false savings. Correct diagnoses also involve considerable experience and knowledge on the part of the physician. You want a doctor who more often than not can honestly say “I’ve seen this before,” or “Regardless of what the other doctors you’ve seen have said, you have the following…I know because I have made this diagnosis many times before and have treated it with excellent results,” or “I’ve never seen this before but I think with some help from the appropriate studies, consultation with colleagues, and review of the medical literature, I can figure it out.” Not every complaint is well-described in the medical literature. Many potentially successful treatments are abandoned prematurely (and not reimbursed by third party payers) because they appear to have limited efficacy, yet many of the “unsuccessful” treatments are very beneficial when performed technically correctly, on the appropriate patient, and with the correct diagnosis. “Performed technically correct” means the physician caring for you is capable of treating almost all patients, including those with significantly abnormal anatomy due to spinal deformity, prior surgery, or obesity. Unfortunately, most physicians treating patients with complicated spinal problems do not have the technical expertise to tackle the problem at hand and end up with predictably poor results. In patients with spine-related pain, superior quality imaging is a must in performing pain-relieving procedures. Those with low back and leg pain, advanced aged-associated arthritis, scoliosis, narrowing of the spinal canal (stenosis), a CT scan is vastly superior to the standard imaging equipment, i.e., fluoroscopy, used for performing pain relieving procedures. 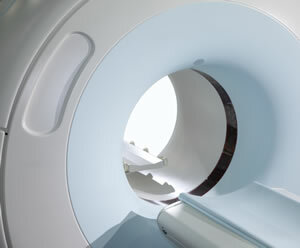 Only a CT scan allows the physician to accurately and safely deliver pain relieving medication, such as steroids, to patients with complicated spines ravaged by stenosis. This allows for months of reduced back and leg pain. For those with stenosis in the neck, less neck and arm pain with the increased ability to walk or use the arms without pain, numbness, or weakness. This treatment also reduces the use of pain medications, thus saving money and avoiding side effects. Epidurals and nerve blocks usually fail to relieve pain in stenosis because stenosis-related pressure on spinal nerves almost always occurs at multiple sites within the spine. One epidural or nerve block has no chance of relieving pain at sites not covered by steroids of one local injection. Multiple injections, given at the same time, are usually required to afford a good chance of giving satisfactory relief to a large number of patients with stenosis. Neither Medicare nor private insurance will reimburse for multi-injections procedures, limiting the use of this type of procedure to those who can afford to pay for them out of pocket. In my practice, over 80% of patients report greater than 50% pain relief for at least four months following appropriate spinal injection therapy for the treatment of multi-level or anatomically complicated stenosis effecting the lower back. Similarly, only a CT scan allows for appropriate placement of radiofrequency electrodes over parts of the nerve transmitting pain impulses to the brain, allowing partial heating of these “pain relay” centers (ganglia), with the ultimate goal of decreased pain medication and increased activity in those with pain due to painful scars following surgery, i.e., hernia operations, head pain in the back and side of the head due to upper neck problems, pain following fusions of the lower spine, (at times) pain involving the sacroiliac joints and even pain due to abnormal calcium deposits pressing on nerves in those with spinal cord damage or pain due to degenerated joints such as the ankle. I have provided permanent relief to two thirds (or 66% of 30 patients) with synovial cysts – a success rate unparalleled by any other physician using minimally interventional treatment of these cysts. The cyst is a fluid-filled sac emanating from the facet joints connecting the vertebra comprising the spine. These cysts usually exist at the L4-5 level of the spine/lower back and, when large enough, bulge into the spine, press on nerves, and cause sciatica. In an outpatient setting, I use a CT scanner and intravenous sedation, allowing me to safely approach the cyst inside the spine and, using a special needle, I cut out most of the cyst. Such a procedure requires one and a half hours to perform, including the administration of anesthesia. Moreover, the patients are able to go to work the next day. Fluoroscopy would not allow for removal of these cysts using my technique as the medical literature amply demonstrates. Fluoroscopic puncture of the cyst and drainage of the cyst with a needle invariably fails. The traditional treatment is open surgical and involves cutting open the skin, underlying muscle, and removing some of the bone of the spine to be able to cut out the cyst. This requires general anesthesia, an operating room, a hospital stay of two to three days, and several weeks of recovery from post-operative pain. In terms of treating painful discs, another source of back pain, I am able (in over 80% of 30 patients with pain due to torn or degenerated discs) to obtain immediate, long-standing, and often permanent relief by heating up the interior of the disc at multiple sites within the same disc. This is achieved in an outpatient setting using radiofrequency electrodes inserted into the disc’s multiple sites, with the assistance of a CT scanner and intravenous sedation, as described above. This typically takes one-and-a-half to two-hours, with patients usually returning to work the next day. Alternative outpatient methods, including IDET to deal with painful discs, using fluoroscopy and different techniques, fail to achieve the results I have described, either because the techniques are less successful or take months to take effect. The surgical alternative for the treatment of painful discs is a lumbar fusion – a very big surgical undertaking with a long recovery period. Up to 66% of patients suffer from significant and permanent pain following fusions of the lower back. Diagnosis is vital to success in treating pain due to painful facets treated by radiofrequency lesions of the nerves controlling pain coming from the facets. What is seen on radiological studies does not correlate with back, neck, or head pain due to painful facets. Unfortunately, the diagnosis must be made by recognition of the problem by the physician based on his or her clinical experience. Back pain associated with significant stenosis or unstable slippage of the spine is usually not related to the facets. Therefore, attempts at treating them as the cause of pain (in those cases) usually fails. Several levels of facets covering a large area of the low of mid back or neck are usually involved in facet pain. All painful facets must be treated in order to achieve a good result. Unfortunately, insurance usually will not reimburse for the treatment of more than three facets in a three month period. Most patients require four to six diagnostic blocks of the nerves of the facets, performed at the same time, to help diagnose facet pain. Similarly, four to six radiofrequency lesions of the nerves may be necessary to treat facet pain on a long-term basis, i.e., years. Again, insurance companies will not pay for all of these lesions to be treated at the same time. Blocks of the facets or nerves to the facets are often used as a form of treatment. The literature, and years of my own experience, amply demonstrate that these blocks should not be considered therapeutic but diagnostic and prognostic, indicating to the physician whether or not the patient’s pain is related to the facets and, if it is, radiofrequency of the appropriate nerves may provide long-term benefits. I perform pain-relieving procedures under CT guidance in treating facet pain. In my opinion, the use of CT is indispensable in performing procedures on the neck, thoracic (mid-spine), and most cases of lumbar facet pain associated with arthritic or scoliotic spines. As with all my procedures, intravenous sedation is used. Fusions are often performed for related back pain due to facets – an absurd, expensive practice of overkill. In appropriate patients, radiofrequency lesions, performed properly using thermal techniques originally described in the literature, usually give years of relief. They may be repeated as needed with equally long-lasting effect. I tell my patients what they need and, with their consent, treat them appropriately – whether or not my treatment plan is totally reimbursed by third party payers. My patients are obviously aware that their well-being may have to be paid for in part with their own funds. Most of my patients remain productive citizens and members of society, liberated from the revolving door of a pain clinic, physical therapy, psychotherapy, and repeated unsuccessful surgery. I certainly believe in the necessity of appropriate surgery, in the appropriate pathological situation, in the right patient, and at the right time. In many situations, there is no alternative to surgical treatment. I guide patients towards surgery if I feel it is appropriate for them in the long run. However, my goal in doing so is to liberate them from the pain clinic and its allied treatments – not to create another failed back surgery patient. My ultimate goal is to liberate my patients from their dependency of me and the medical system in the treatment of their chronic pain – I usually succeed. For those with problems outside my area of expertise, I have an excellent referral network of physicians in New York and other cities throughout the United States, as well as around the world, covering a wide range of specialties. I do NOT refer based on my personal network, but to the best physicians available for a given problem. One characteristic of “best” involves doctors thinking “out of the box” – using novel approaches to diagnose and treat problems – problems that have plagued the patient for years in spite of fortune, time, effort, and money spent in trying to find a solution to their problem. The most common referrals from my practice involved patients who I cannot initially treat, i.e., those requiring decompressive surgery or fusion for actual or predictable post-operative instability, patients suffering from osteoporosis, those with risk of stroke, untreated diabetes, cholesterol or fat metabolism disorders, obesity, rheumatological disorders, prostate disease, and occasionally, previously unrecognized cancer. I also refer women who have not had up-to-date mammography, pap screening, colonoscopy and, at times, cardiac stress tests as recommended for appropriate evaluation. Patients requiring psychiatric care are also referred to appropriate specialists. Most of my patients have failed to find pain relief purely from physical therapy, but have found great benefit from it following pain-reducing treatment, and then are referred on for rehabilitation treatment.